Tom earned his BSE and MSE in Aerospace Engineering from the University of Michigan. In his junior year of undergrad, Tom started a student project group to research and develop autonomous unmanned aerial vehicles, or more commonly known today as drones. This project continued through his Master’s research when he and his co-founder Danny decided to join the University of Michigan accelerator program, TechArb. This is when SkySpecs was born. Over the course of the next 5 years, SkySpecs would go on to win multiple business competitions, completed an SBIR with the National Science Foundation, join a Techstars Accelerator in New York City, raise two rounds of funding, and launch their autonomous infrastructure inspection drones through North America and Europe. Along the way, Tom has been recognized as a leading entrepreneur, receiving the 2016 Forbes “30 under 30” award. 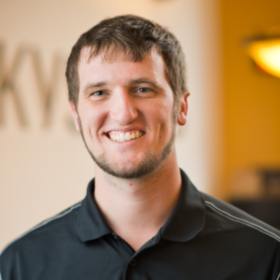 At SkySpecs, Tom focuses on product strategy and engineering. When he is not at work, Tom enjoys brewing beer, golfing poorly, scuba-diving, and spending time with his wife and his dog. In December 2017, Tom was selected to be an Endeavor Entrepreneur alongside his cofounder Danny. SkySpecs is an automated inspection company, enabling drones to work for industrial businesses, autonomously making observations and developing actionable insights on the job. SkySpecs’ product allows technicians to collect and analyze data of large structures (i.e. wind turbines, cell towers, bridges, buildings) with the single push of a button. SkySpecs’ core technology lies in the flight automation software on the drone and the data analytics software in the cloud. SkySpecs has been focused primarily on wind turbine inspection and is currently delivering automated inspections to paying customers around the world. Proud members of AWEA, Wind Europe and the National Drone Alliance.